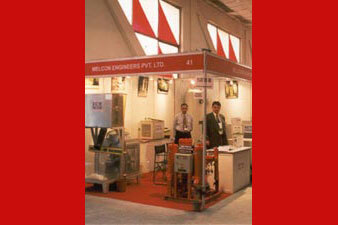 Mellcon Engineers INDIA is a closely held Company. It has Registered Office in Okhla Industrial Area Phase - I New Delhi & manufacturing Unit in Greater Noida U.P. 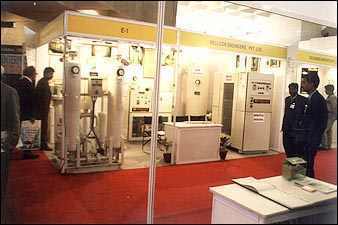 India manufacturing a complete range of Compressed Air Dryers & Gas dryers for H2 , Co2 etc. , Water & oil Chillers , Hot air blowers & other customised Equpments for Air & Gases. All the design facilities are available in-house. The hardware consists of a bank of computers with associated peripherals connected in LAN with internet, with own in-house developed design software and is personally looked after by the company CEO. The design group has access to a well equipped library. The works has adequate handling facilities for receiving incoming materials including plate material and for stacking them. Required equipment for material preparation manipulation and fabrication are also available. The company lays maximum emphasis on quality and has a well laid out quality system with complete traceability. Quality is everybody's responsibility and specifically that of the QA department which functions independently under quality Assurance Manager who directly reports to the Managing Director. Welding being the major fabrication process, is paid special attention. Welding procedure specifications are available for all materials and combinations in various thicknesses and the procedure / welders are properly qualified under 3rd party inspections. These record are available for client perusal. MEPL Products have found wide acceptance in Industry and also approved by Major consultants and Public Sector Organization Like EIL , NTPC. BHEL. JCE. DALAL, IOCL, BPCL ETC. The Company has also been certified as an ISO 9001-2000 compliant by BSI. Mellcon Engineers Pvt. Ltd. is a closely held company. It has its head office in Okhla Industrial Area Phase - I, New Delhi. manufacturing a Wide range of AIR DRYERS , GAS DRYERS , moisture removal and control equipments including Refrigerated Dryers, Air / Gas Dryers, CNG Gas Dryers a range of Water Chillers and Chilling Machines Liquid carbon dioxide storage Tanks .refrigerated dryers, air dryers, gas dryers, chillers heatless air dryer, refrigerant and desiccant dryersOkhla Industrial Area is the premier Industrial Location in Delhi infrastructural well served and with good communication facilities attached. The company is professionally managed and the Chief Executive is assisted by top level professionals. The company lays maximum emphasis on consistent high quality for its products and has a well laid out quality systems with back-up of a well trained work force to ensure quality. 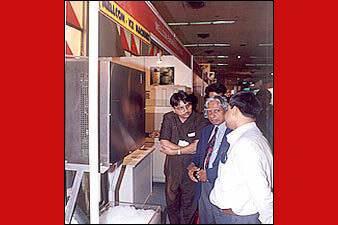 The company has an active R D programme to improve further the Quality of present products and develop new products. 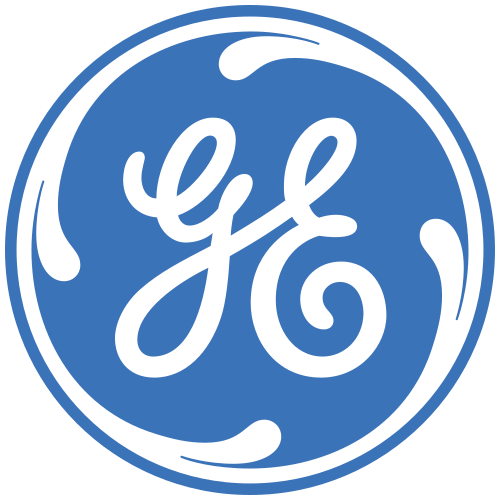 In fact all the present products of the company are the result of in-house R D efforts.